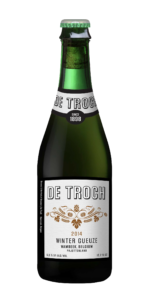 Visit the bucolic countryside around Brussels and discover Wambeek and the Brewery De Troch, which produce unique fruit beers. A 19th century land-use plan of the area mentions a brewery owned by a certain Petronnella De Troch. In July 2012 Pauwel & his wife Kristel took over the brewery to continue the brewery tradition!